Near midnight of Oct. 28, my Uncle Gerry in Hawaii posted a lengthy note at the Labayog Clan Facebook page. There was good news for the clan. (For the curious, yes, Labayog is the La in La Yumul.) My brother was elected as chairman of Brgy. 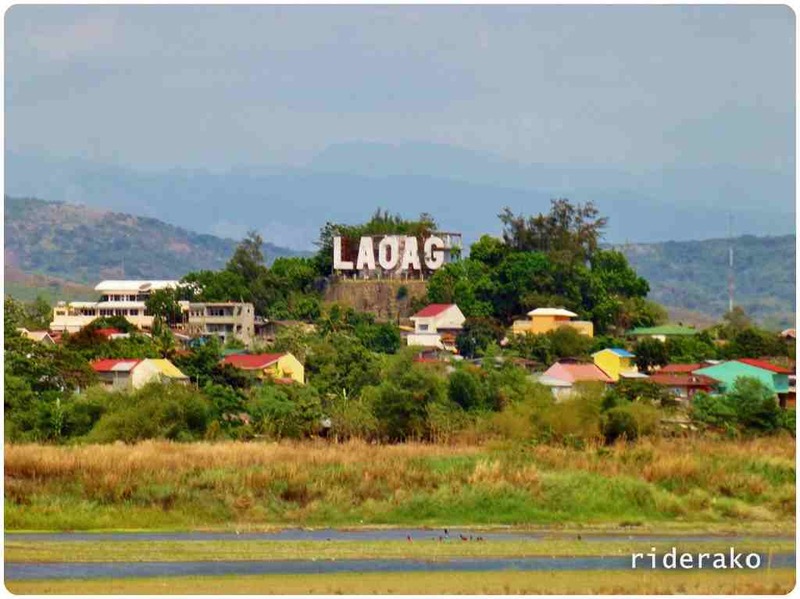 7-A, Laoag City where his family has lived for around 25 years. I reside in nearby Brgy. 5. The following is Uncle Gerry’s post quoted verbatim. “Wow! Again, the Labayog Clan made history. Herry Labayog Yumul is elected as kapitan. “Herry, who has the heart of a leader, deserves the position. When I attended his graduation in Baguio City, I already saw in him the makings of a leader. When his name was called, there was a thunderous applause and standing ovation. He even captured the heart of the most beautiful co-civil engineering graduate and now his wife Gina. Sabi nga nila, may inalat si Herry. “He practiced briefly in construction supervision. But his salary was not enough to raise a family. With 3 children to feed and send to school, his salary was not enough so he ventured in business. As a market vendor, the hundreds of vendors in Ilocos Norte were amazed of his character and personality and elected him as president of the Ilocos Norte Ambulant Vendors Association. He had represented them in dialogue with government officials for a system beneficial to both sides. He is currently president of the Laoag City Night Market Vendors Association. “In 2010, he ran as a barangay official, and was overwhelmingly elected. In this election, the outgoing Brgy. Captain made Herry his personal choice to lead 7-A. Even high-ranking provincial and city officials gave him their blessings. Thankfully, he was also endorsed by the Iglesia ni Cristo. 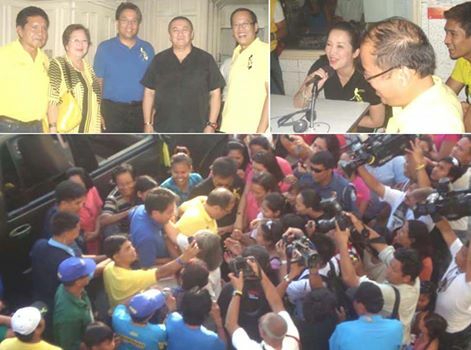 “In his campaign sorties, members of the Labayog clan extended their all-out support. They were with him everywhere, rain or shine. The Pink Ladies—composed of Mafae, Mafel, and Girlie (Herry’s nephews)—were even Branded as EBB or Eat Bulaga Babes. I call them Herry’s Angels. As a teacher and writer, one of my biggest pet peeves is plagiarism. 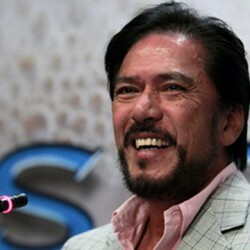 Good thing I don’t teach in Iskul Bukol and I am too young to be teacher of Tito Sotto, Eat Bulaga host and Philippine senator, who offers the following advice on how to copy the work of others and not feel bad about it even when caught. Tip # 2. Translate somebody’s work, word for word, paragraph by paragraph, into another language and claim that it is no longer plagiarism. UPDATE: Finally, if all these fail, pass a law criminalizing libel in the Internet, and send to jail all your cyber bashers. Malacañang Communications Undersecretary Manuel Quezon III, grandson of the Commonwealth president, is coming to the province on May 4 for a couple of engagements. 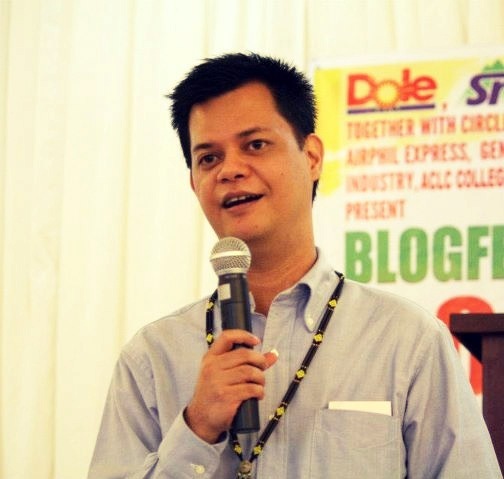 Himself a blogger, he wishes to meet Ilocos Norte bloggers in the afternoon. I am helping his staff identify participants, and I have so far listed twelve, aside from myself. I have met Manolo Quezon on several occasions, especially when I was still teaching at Colegio de San Juan de Letran, the alma mater of his illustrious lolo. At the Intramuros school, the Quezon family always graces the August birthday celebration of the Ama ng Wikang Pambansa. I am a fan of The Explainer, his television show where issues are discussed with great detail and insight. Also, he is supportive of the Philippine Blog Awards where I have been a national finalist three years in a row in the society, politics, and history category. I really look forward to May 4. This is the first time bloggers here are coming together, and I am thinking of finally initiating the Ilocos Norte Bloggers Commune. In other parts of the country, bloggers have long organized their respective societies which allow them to initiate activities and write for common causes and advocacies. Now is time to do it here. Do you know of any other serious blogger who might be interested to join the activity? OKAY, I AM swamped with a lot of work this week so I do not have much time to write the usual full-blown essay. Allow me though to share tidbits of my rikna and nakem in previous days. Under “Hear! Hear!” are things that made me smile, events that firmed up my belief in the future of our nation and of humanity at large. “Shame! Shame!” are those which furthered my hair loss and, consequently, the widening of my shining and shimmering forehead. Hear! Hear! Interior Secretary Jesse Robredo saying, in reply to a question I asked during a presson, that he is strongly for the abolition of the Sangguniang Kabataan council, which I consider as a sticky phlegm on the nation’s throat . Shame! Shame! I think his position is compromised as he is only for the abolition of SK Kagawads, not of SK Chairmen. While he also proposed that the age requirement be raised, e.g. 25, this does not respond to the problems of corruption, nepotism, ineptitude, and everything trapo that has hounded the political structure. Hear! Hear! Secretary Jesse Robredo sounding sincere in his efforts to bring integrity in governance. Author Herdy La. 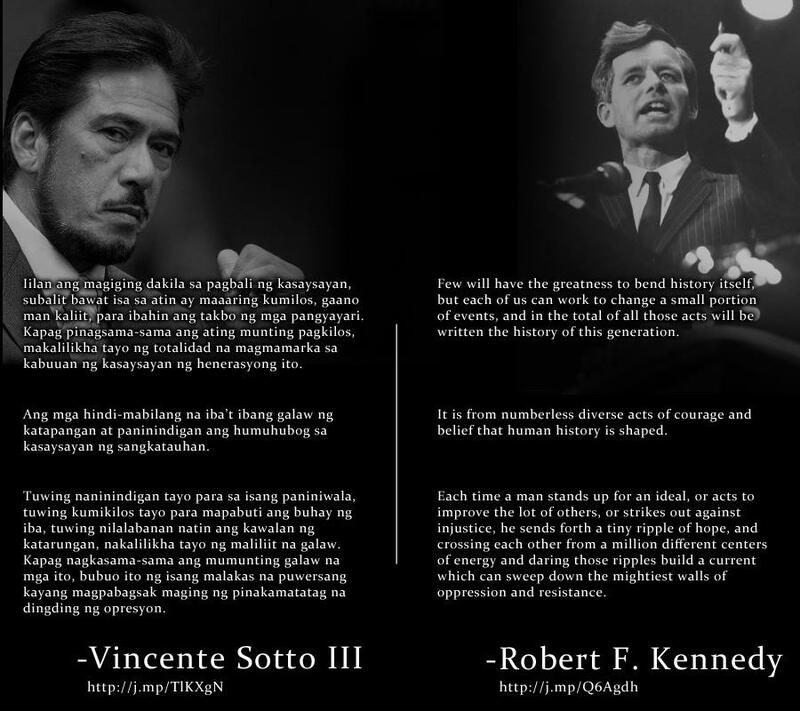 YumulPosted on February 18, 2011 Categories Government/Politics, Happiness, Marcos, Media, The Good Life16 Comments on Hear! Shame!